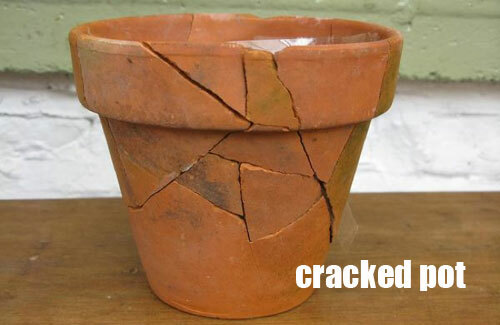 Tips On How To Repair A Cracked Garden Planter. 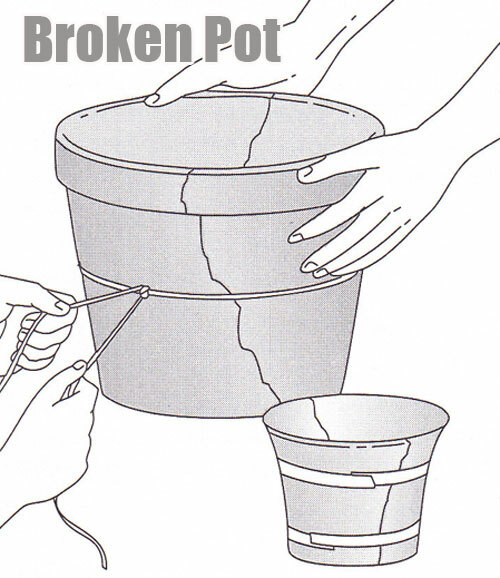 Let�s learn how to repair a broken pot. Sorry to say that it is usual to crack or chip a clay flowerpots at one point in your garden adventures. Well, if your damage isn�t all that bad, you can repair the pot and return it to a fairly normal condition. All you need to do is try a few of the tips listed below. Think about it, what have you got to lose? Choose a epoxy glue. You mix the two compounds � one part glue, one part hardener, before you cement the pieces. Read the package instructions for mixing, then apply the mending goo to both parts before joining them. Fit the pieces together and tie the pot so that it�s securely held in place. Use a cord or rope for large pots, try plumbers tape for smaller ones. Wipe off any glue that spills out of the cracks when you fit the pieces together. Sand off any extra reside that you want to remove. Once the pot is sealed you can stain or paint the pot to try to hide the cracks. 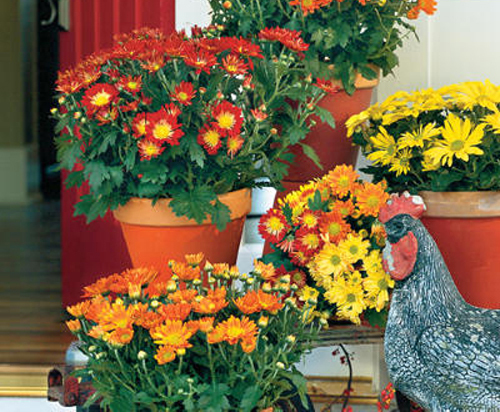 Make sure you use a paint that is for terracotta flower pots. There are many colors available. Many times you won�t even bother painting them since once the flowerpots are planted in the plants will grow over the sides and hide many of the issues anyway. The point is, don�t give up. 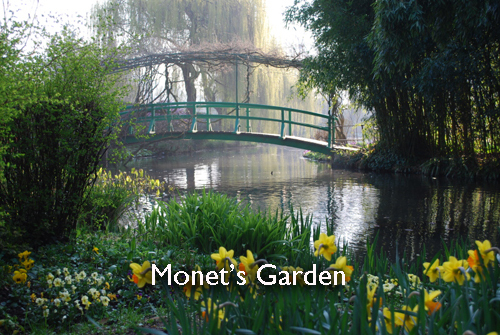 That garden planter you purchased was expensive and you don�t have to toss it out. Give this a try. What have you got to lose! Read more..... Pots and winters cold. 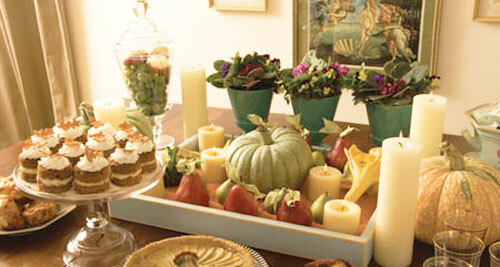 Thanksgiving is a time to give thanks and share your home with loved ones. 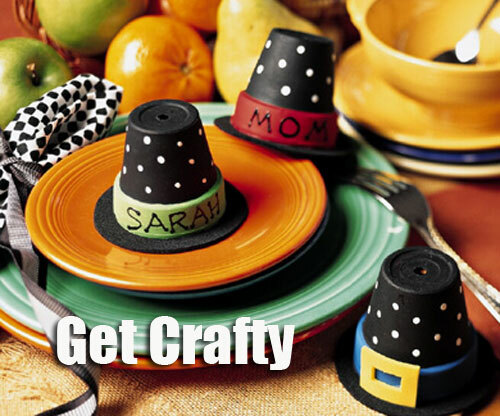 As everyone gathers together for a wonderful day of celebration, we would like to share a few craft ideas that will make the day more fun and decorative. 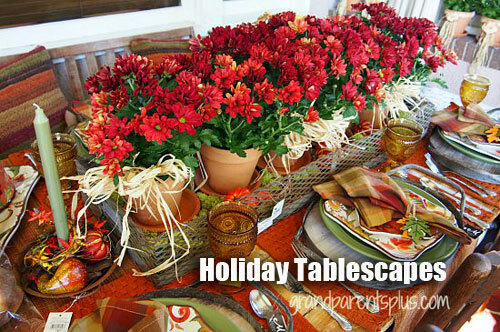 These personalized place card are made from miniature clay flowerpots and are so easy to do. We have one for adults that should be made in advance and another for children. These are as simple as a few glue sticks, feathers, candy, or markers. Have a place set up in the morning so when the children arrive they have a place to sit and get started. Make sure that there is always adult supervision. This will give the children something to do why the adults watch football and cook. Gather 3�clay flowerpots. We have them in many sizes including the 3�so click here to shop. Acrylic paint in black, white, red and blue. Craft Foam in black, yellow, green & purple. These come in sheets at the local craft stores. Decorate the pots by painting each black and allow to dry. Choose a color to paint the band around the top of each pot. Let dry. Make white dots on the rest of each by dipping the handle end of the paintbrush in white and dotting the pots surface. Add brims by tracing a circle from black foam about � inch wider all around then the pot opening using a glass lid. Cut out. Make the buckles by measuring the width of the band, cut a rectangle from foam that measures about 1/8� deeper than the band. Cut out a smaller rectangle from the center. Glue the buckle to band and let dry. Lastly, personalize each pot hat with the paint pen. As you will see from the photos below, all you will need is paint, feathers, glue sticks, paint pens, flowerpots etc. All the items you can pick up at your local craft store. If they don�t have the small terracotta pots in stock you can buy them from us by clicking here. The point is to have fun, be creative and makes this Thanksgiving holiday truly blessed. Read more.....Let's clean your garden planters. Let's Pot A Evergreen Tree! Container cultivated trees, modest in size, yet still tall enough to look dramatic, can easily enhance an entryway, patio or balcony. Many potted trees stage seasonal drama when they turn into blazing colors for Autumn, or flowering pink blossoms for Spring. With proper care most trees in garden containers will prosper. 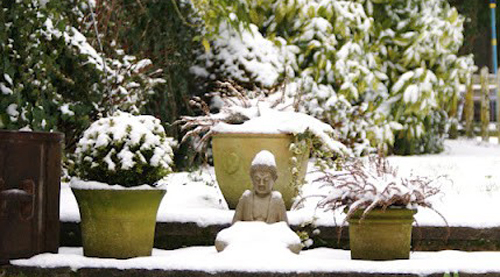 One tip to remember is when selecting the pot to plant the tree into make sure it�s large enough. 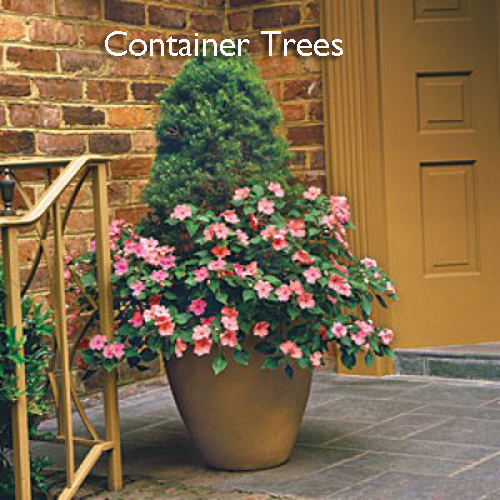 Any container will stunt a tree�s growth and limit the height it can achieve. 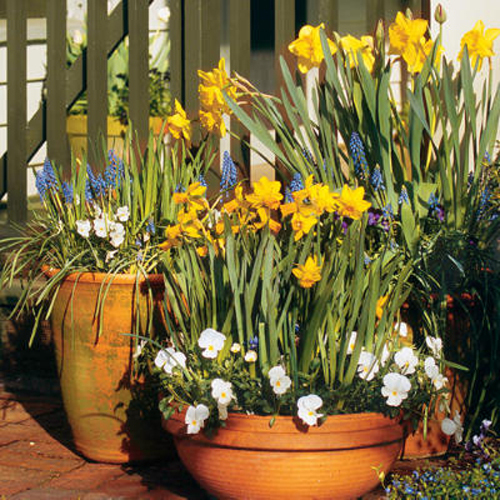 We recommend using a concrete planter, glazed planter or high fired clay planter. 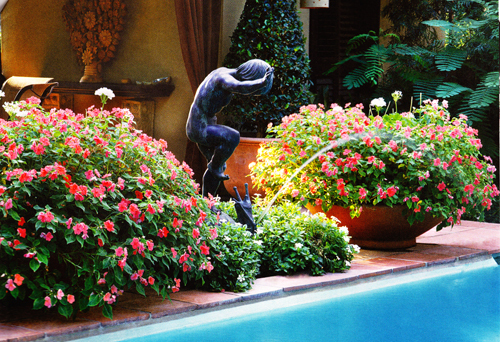 Unless you plan on re-potting a terracotta container is two fragile and is meant to break down over time. These types of garden planters would not be suitable for the trees listed below. A long time favorite for container gardening, these evergreens are perfect for potting. Dwarf varieties are great choices. A dwarf Alberta Spruce is covered in soft grayish green needles and grows very slowly so it will fit the container for many years. You can pot these trees any time of year. Once of the things we love is that they stay green all year. If you use a large enough planter you can add colorful flowers around the base in Spring and Summer to add color. Very similar to the spruce this group of trees has hundreds of choices. Bristlecone pine, Shore pine, Japanese Black pine, and Mugho pine are just a few. 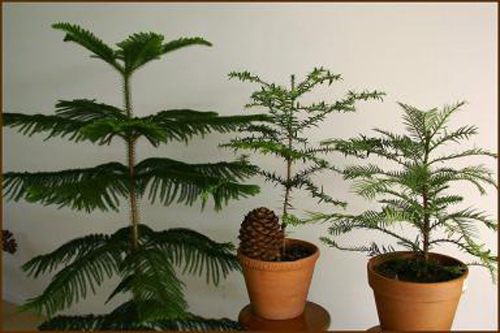 With proper care these potted trees can last up to 10 years or more. You can also plant them any time of year and even use them for living Christmas trees. Each on listed above require a larger or extra large planter and we again recommend concrete, poly resin, glazed or high fired clay. Potting a tree is not hard. Just do you research on the variety and what size of pot you will need and you will be blessed with a tree that is forever green!